Does negative political advertising work? According to these seasoned campaigners, the answer is: yes, stupid. 1. People remember them better. 2. People believe them more. 3. As a result of (1) and (2) their impact is more immediate. 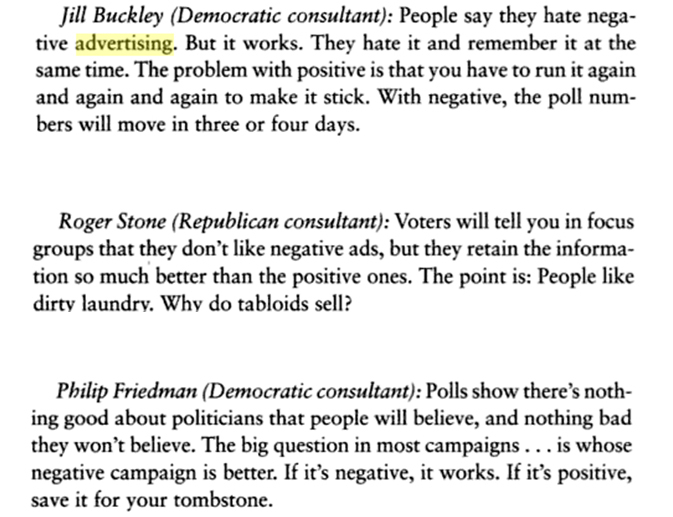 I found these three great quotations about negative political advertising in a book called Crowded Airwaves: Campaign Advertising in Elections, that whilst a little old still provides some really interesting insights into the subject.